I love coloring pages that inspire me. 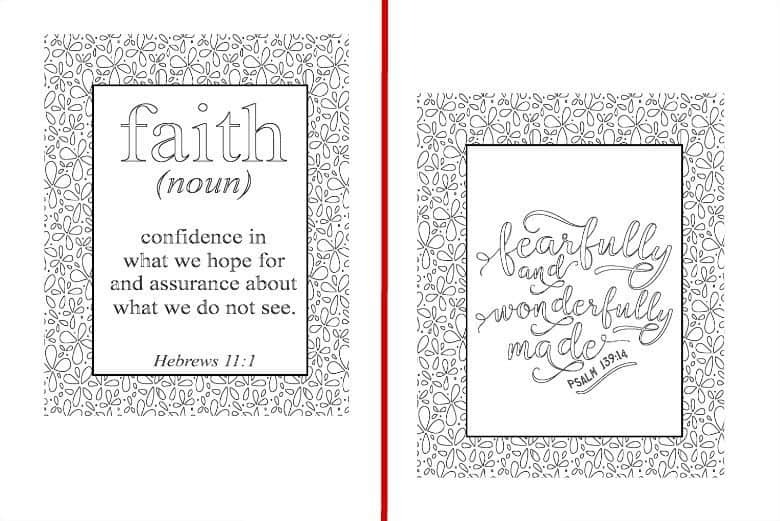 That is what the Inspirational Coloring Pages set is all about. 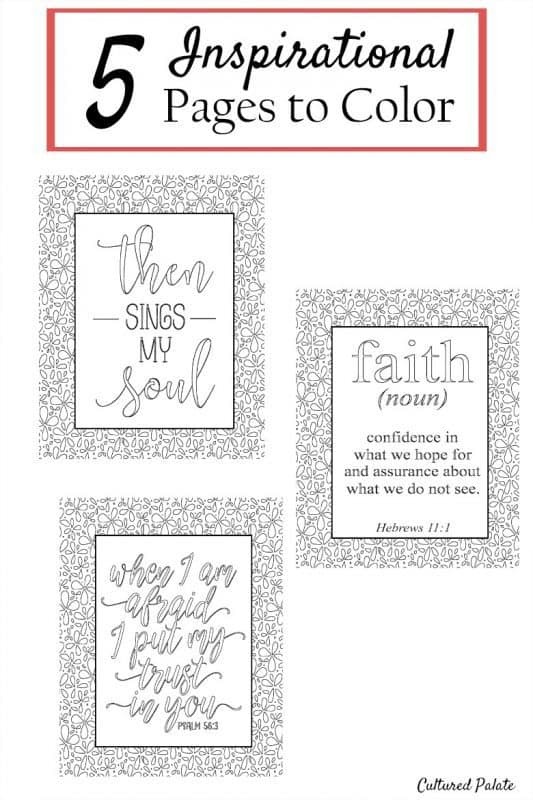 Feed your creative side and get inspired at the same time with these printable coloring pages in 5 different designs! Have you heard? Coloring is no longer just for kids! If you haven’t already, it is time to jump on the bandwagon, grab your colors and have some fun! It would really be difficult to find a more economical hobby. All you need is something to color and something to color with – talk about inexpensive! Use crayons, coloring pencils or markers – it really doesn’t matter. Personally, I like to use markers, especially with more intricate designs. Crayons work well for designs with less detail and larger areas to color. But, I just seem to have more control with the finer tips of markers – the ones I linked to are the ones I use. The point is to relax, have fun and hopefully be inspired at the same time. Coloring can be done anywhere and I especially enjoy sitting on the floor in front of our coffee table. One nice thing about coloring is that I am usually not alone – family members join in the fun. I love how family activities provide opportunities to teach, encourage and just spend time together. Have you tried this or any other coloring page sets? Please take a minute and leave a review in the Cultured Palate Store letting me know – I love to hear from you! Plus, it lets others know how great these are. Do have ideas for other coloring sheets that you would like to see created? Leave a comment and inspire me!